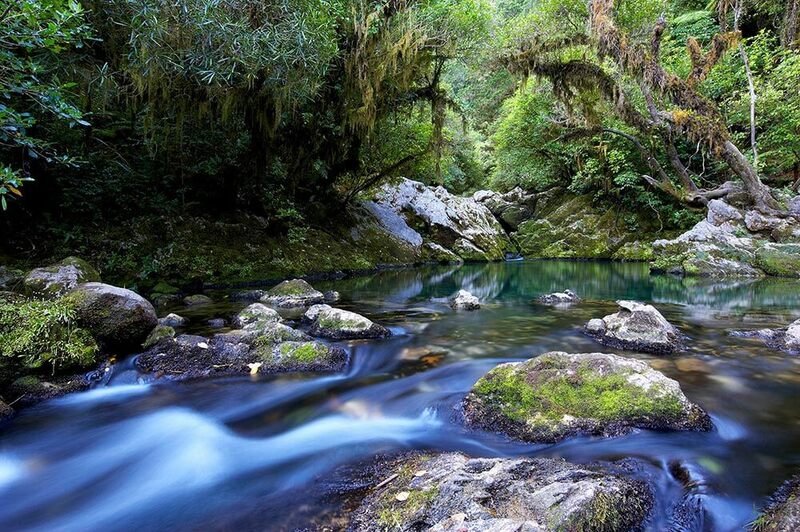 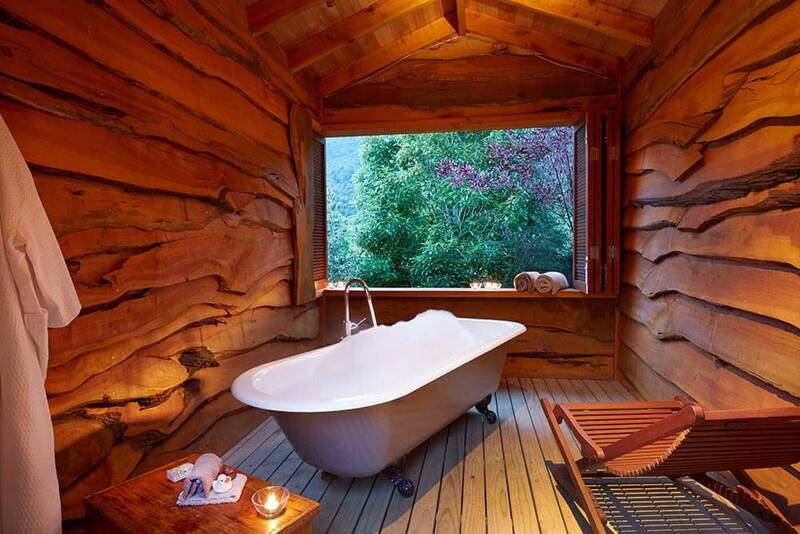 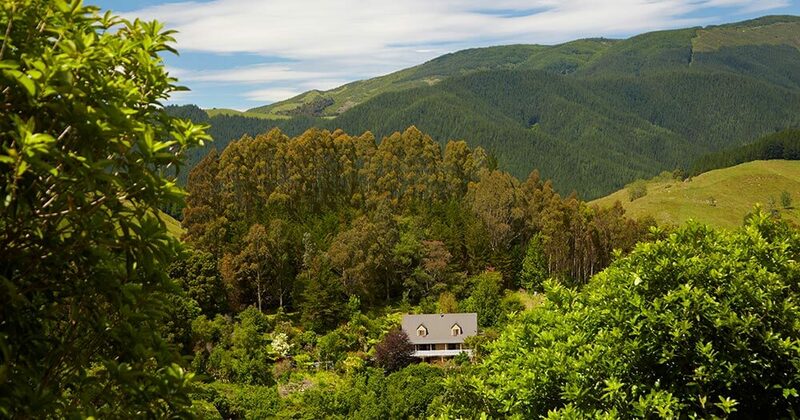 The Resurgence is a luxury eco lodge set in fifty acres of wilderness on the doorstep of Abel Tasman and Kahurangi National Parks, close to Riwaka River. 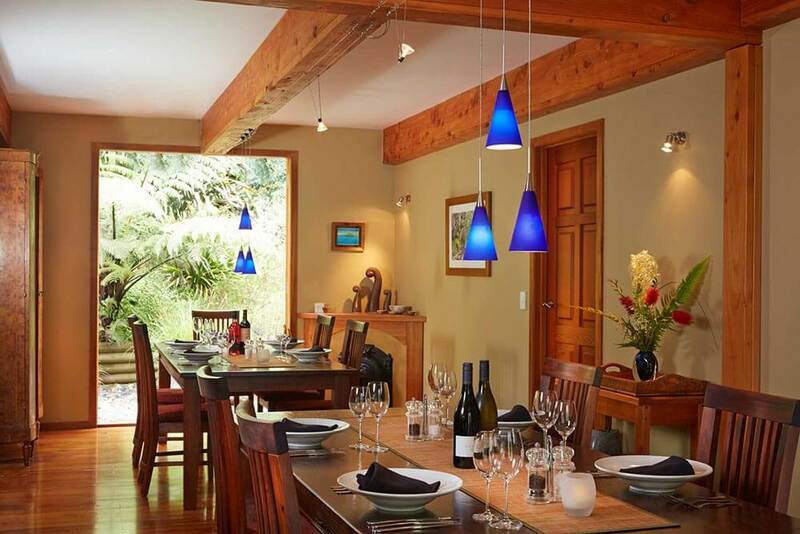 The lodge is situated in a premier fruit, wine and olive producing area which is also home to New Zealand's largest fisheries. 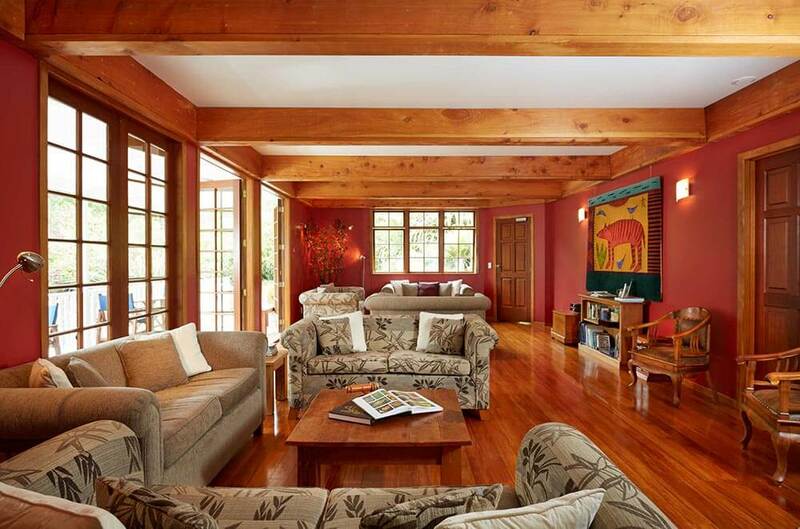 With five kilometres of walking tracks, a saltwater pool, outdoor spa pool, gym, yoga area, mountain bikes and games, there is always plenty to do - or just relax with a book from the library. 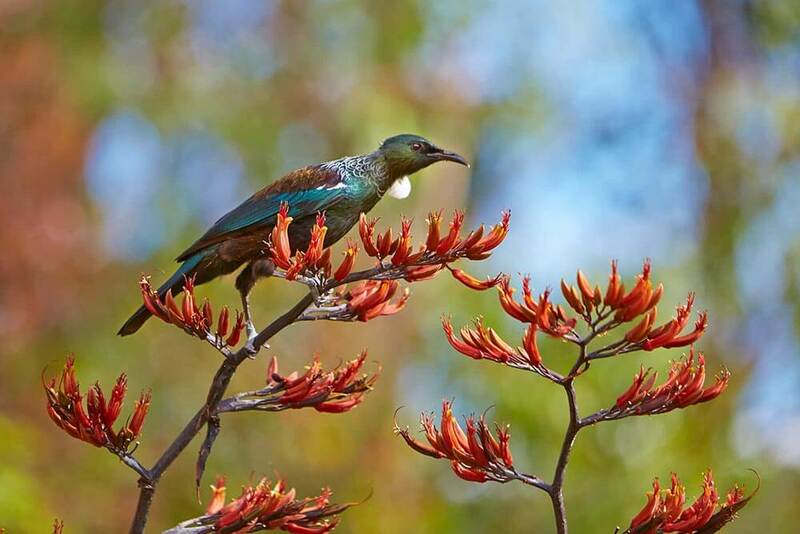 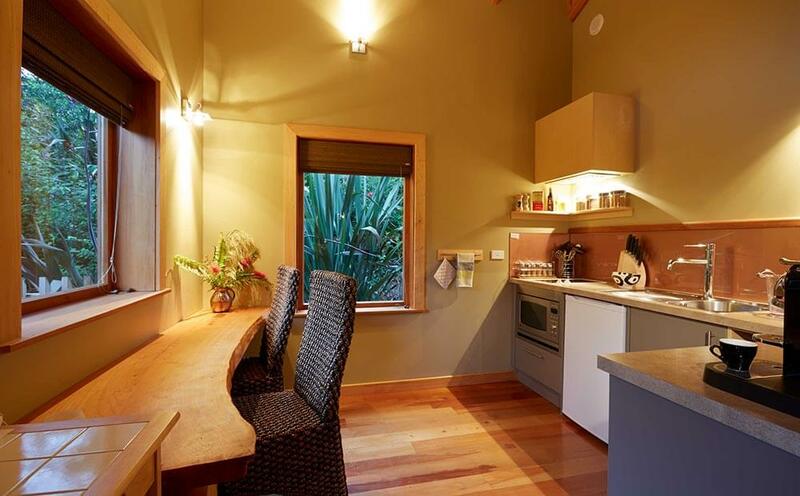 Accommodation consists of Lodge Rooms, Bush Chalets and Bush Lodges, all decorated in natural colours. 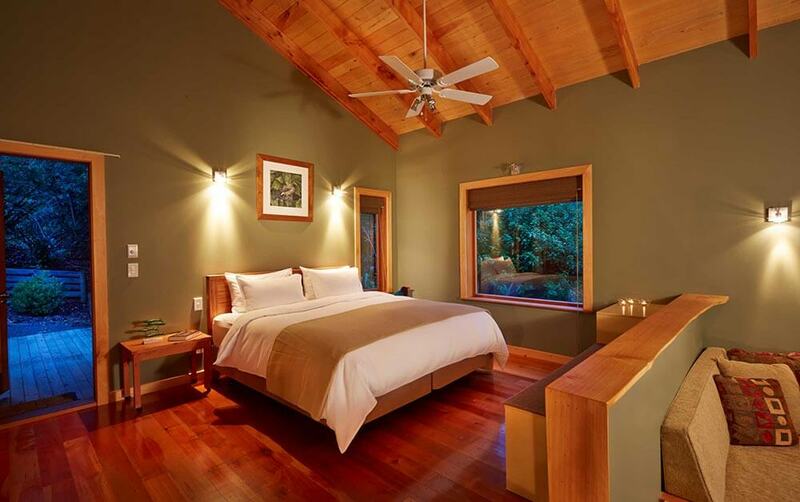 Lodge Rooms are en-suite rooms located in the main lodge building, adjacent to the pool and spa and close to the dining and lounge area. 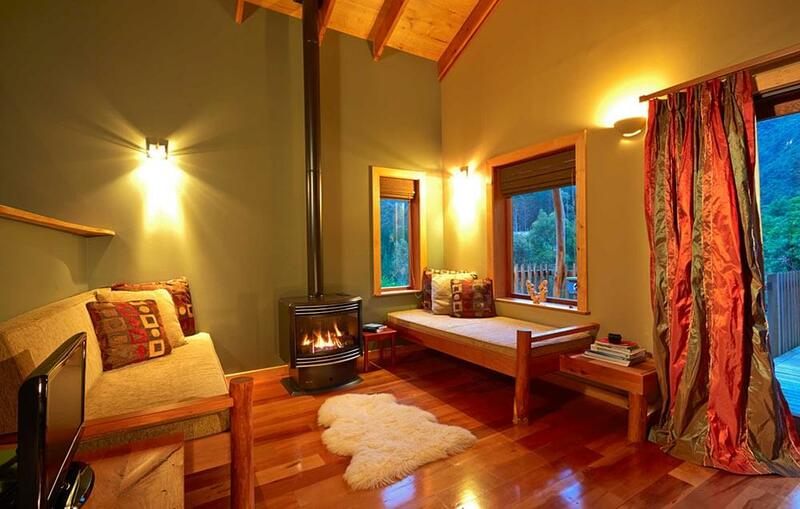 The rooms overlook the orchard and Kahurangi National Park from private balconies. 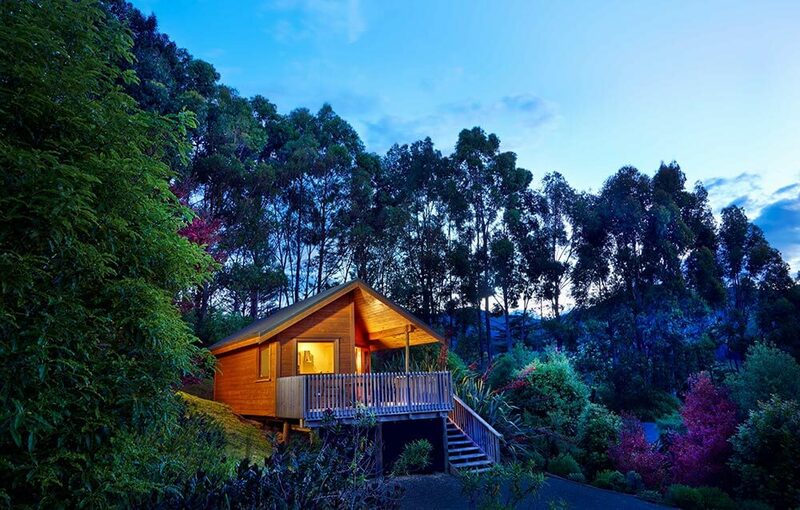 Bush Chalets are spacious stand-alone studios with timber ceilings and luxury wool carpets, nestled in the bush with views over Kahurangi National Park. 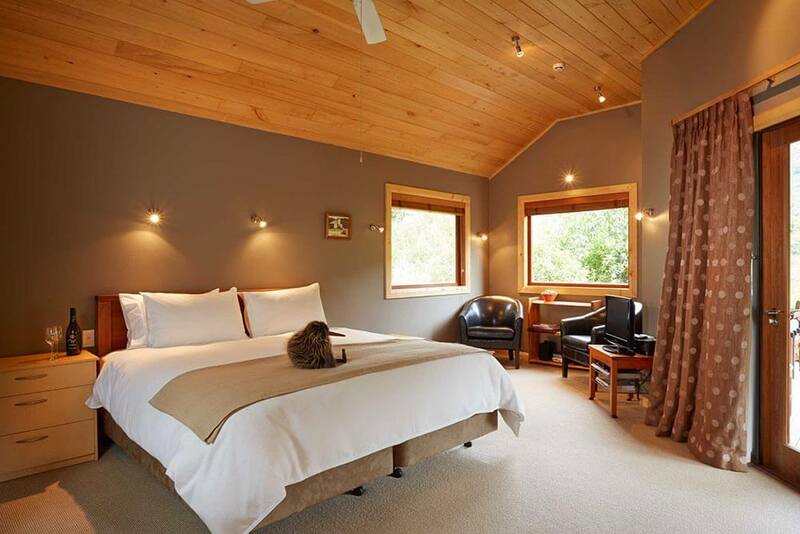 Bush Lodges are the most luxurious suites featuring open plan design, polished timber floors and earthy colours. 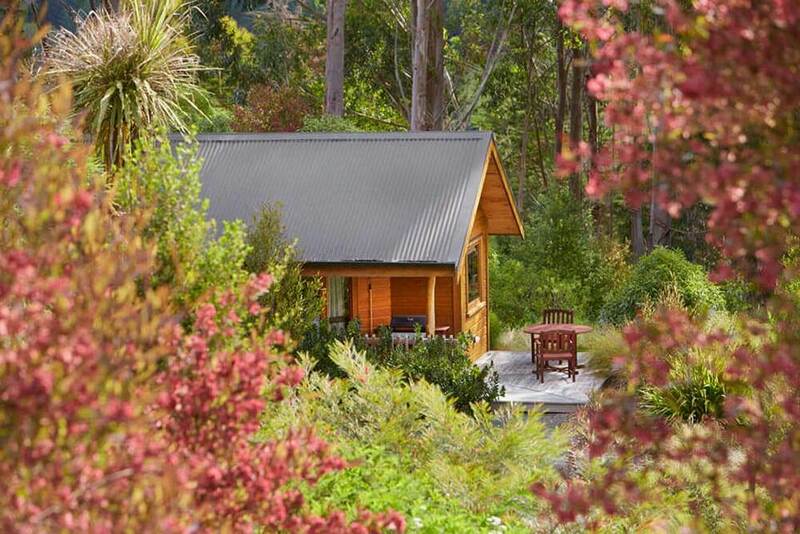 The stand-alone lodges are surrounded by native trees with great views to Kahurangi National Park, yet still close to the main lodge. 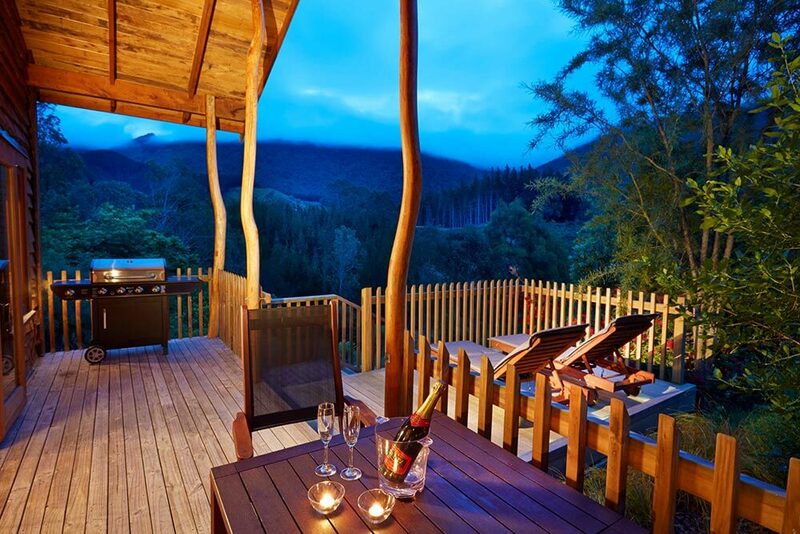 Both Chalets and Lodges feature self-catering facilities. 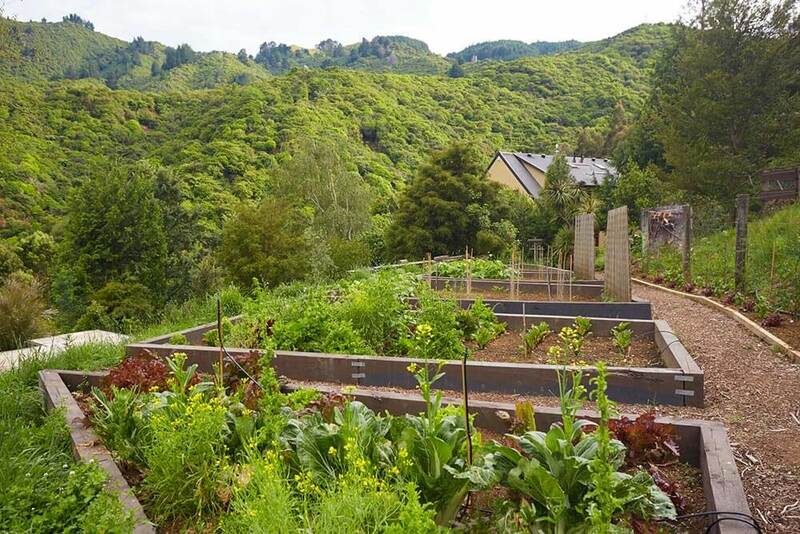 Enjoy crystal clear spring water, seasonal organic vegetables from the Riwaka Valley and freshly picked herbs from the lodge's garden in your wholesome breakfasts, picnics and four course dégustation dinners complemented by local wines.